Strategic Relocation-Third Edition. The long-awaited, all-new third edition is now in print and available for purchase. In this edition we have updated and expanded our analysis of the threats facing North America and include our opinion of popular overseas tax-havens and expatriate colonies. We have added over 200 pages of in-depth analysis of each US state and the populated regions in Canada. New graphics and color maps show specific threats and recommended relocation areas. Maps include military targets, population densities, satellite images of terrain features, private vs. public land availability and much, much more. Is it a communications research project or a doomsday weapon that can change the weather, shoot satellites out of orbit - and trigger mind control across the globe? 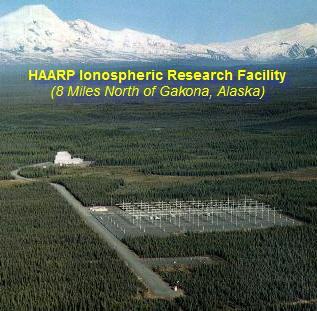 Jesse Ventura and his team head north to a remote region of Alaska to confront the military installation called HAARP.